Bali News: The Balinese are known to be very friendly and has a very high social life. The Balinese also known as the man who always used the time well, like working and helping others. It can be seen from the existence of various social organizations that are traditional, and has formed since hundreds of years ago. Social life of the people of Bali are very good can be seen from Subak organizations, youth organizations each village, farmers' groups, indigenous groups, the laws in each village, as well as activities in each temple ceremonies are organized and always goes well because traditional organizations that go with it. However, most of the area in Bali, especially in urban areas and new settlements are filled by migrants, the more complex the life of the Balinese people. Social and tradition do not become a good part of their lives. Time is money is the basis of their life, such as that applied in western countries. Money is the focus of attention of the Balinese people living in urban and densely populated area. Social life in general becomes the identity of the people of Bali has faded. This resulted in changes in patterns of thought and behavior of society. Bali is one of the provinces in Indonesia with suicides are very high. Criticize the government, every three days there was one case of suicide in Bali. The possibility that more than recorded. Because suicides in Bali numbers like icebergs in the ocean. Looks small on the surface, but very large and much underneath. This is because the majority of suicides in Bali is not reported by the family due to menjada the image and reputation of the family. For residents of Bali, suicide is a very embarrassing case the family. Because suicide is equal to a failure in life. 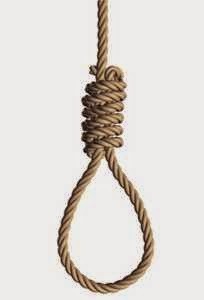 Someone committed suicide that means he can not solve the problems in his life. When in fact any problem can be solved with rhyme families and communities to prevent suicide. In Bali during 2014 recorded 120 cases of suicide, or almost every three days one case of suicide occurred. The number of such cases increased compared to in 2013 recorded 95 cases. When compared to ten years ago in 2004 and 2005, suicide was almost the same, up from 124 cases to 137 cases. The last ten years most suicides occurred in 2008 was 150 cases. A year later been 147 cases. The number on the suicide case is flawed on paper, because the real number that occurred in the community very much, because there is a tendency embarrassed victim's family reported to the police or feel no need to be reported. Bali's tourism economy that lifts since the 1960s, slowly has changed the character of the Balinese people are largely agrarian and social culture. By the tourism industry in Bali, time modified and assessed based on the money, the Bali increasingly individualistic and materialistic. If the agrarian culture, Balinese more relaxed. Leisure time owned by the Balinese was originally used to build good social relationships Atar citizens, through the sharing of stories, jokes, and laughter. By the tourism industry is converted into value for money alone, so that the Bali increasingly individualistic and consumerist. In an agrarian culture of Bali is more humane society, so that it becomes a pressure against the rampant cases of suicide. Bali nationally in 2014 was five areas with the most suicides in Indonesia, after Central Java, East Java and Jakarta.